New Routes! 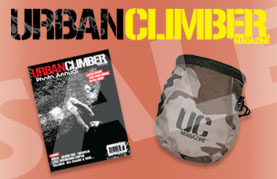 - Over 60 New Routes! The ABS competition season starts October 13th. Will you be ready to compete? 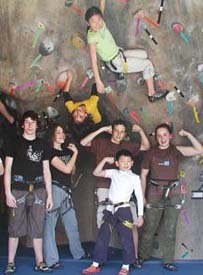 Come to our once a year open tryouts for a chance to train with the Edgeworks Youth Climbing Team. Our team traveled all over the states last year for Regional, Divisional and National competitions! Edgeworks has hard at work setting routes for you! 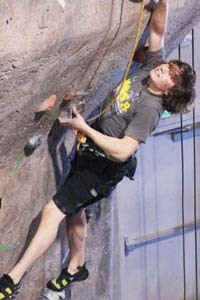 In the last 2 months we have set over 150 new rope and boulder routes and we're not done! 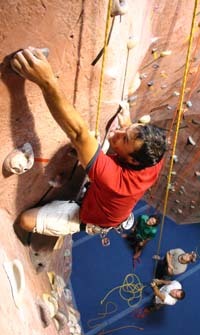 Come try out the new routes! The World's Greatest Climb "Tribute"
Great movement; a lot of fun to climb! What did 5 fingers say to the face? SLAB! A short slab route that will enhance footwork! FUN! Lot's of heel hooks, a great route to do! Endurance! Traverse into the roof then power! Learn the sequence, crimps and big moves! Lead Route: Great movement after the roof! A good warm up and introduction to bouldering. Big features and perfect body movement. Welcome back to everyone that was on a summer hiatus. 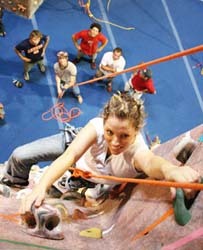 Did you know there are 640 named muscles in the human body & climbing uses 639 of them. What are you waiting for? Get to climbing.